Innovative new teaching resource expands your knowledge of Aotearoa and helps educators and students understand and develop their ‘sense of place’. 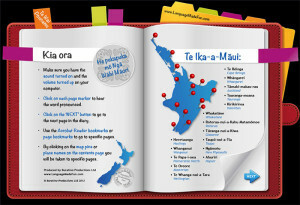 Learn the pronunciation of 30 well-known locations of Aotearoa in Te Reo Māori. Discover the legends and meaning behind each name throughout Te Ika a Māui (North Island) and Te Wai Pounamu (South Island). You’ll hear a native speaker’s voice when you click on each location. Available to download and start using NOW! 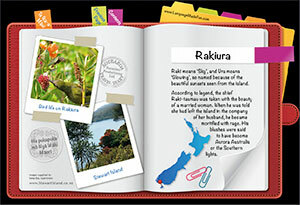 Each location has its own page accompanied by photos, a pronunciation sound guide and a story or description of the origin and meaning of its Te Reo Māori name. 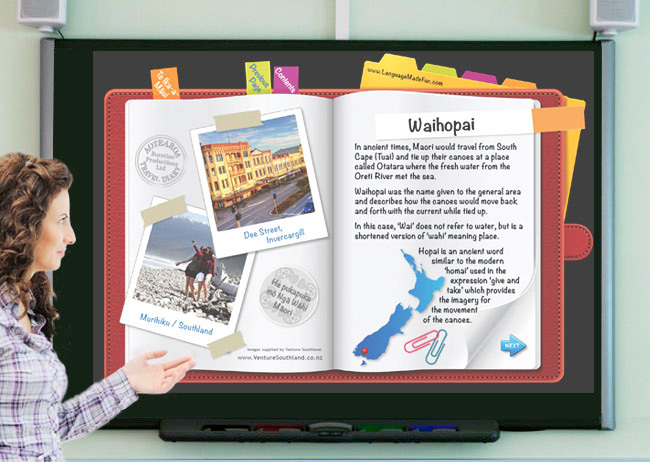 This innovative interactive teaching resource is suitable for use on PCs, Macs and Interactive white boards. Please note that this resource has not been specifically designed for use on tablets, iPads, iPods or Smartphones. Created under the valued guidance of our Māori language and cultural adviser, WM (Bill) Karaitiana, DipTch, BEd, MBA. He Uri o Karaitiana Te Korou rāua ko Korako Karetai. 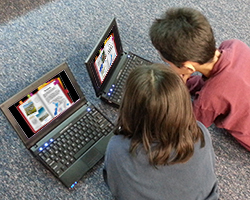 The resource is in two linked parts; Te Wai Pounamu and Te Ika-a-Māui, and is downloaded as two pdfs. Open in Acrobat PDF Reader (Note: sample does not come with sound) . Schools may also purchase on invoice, please contact us to arrange. 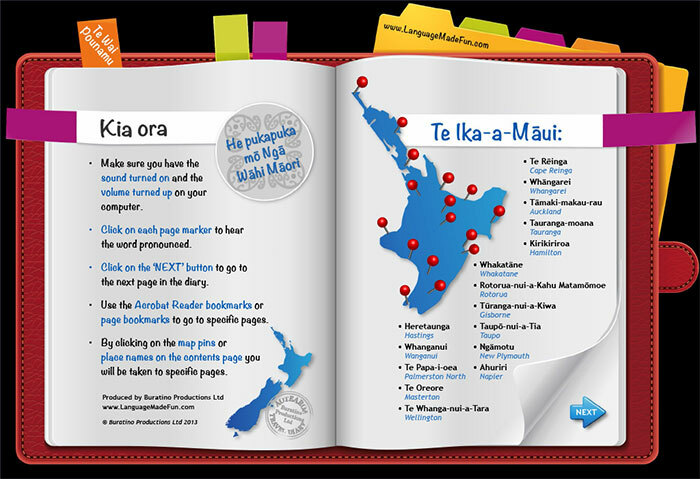 to expand students’ knowledge of place names in Te Reo Māori.